Decoppa! Simple and sweet(kawaii)! Come and make your own unique caricature! Decoppa! 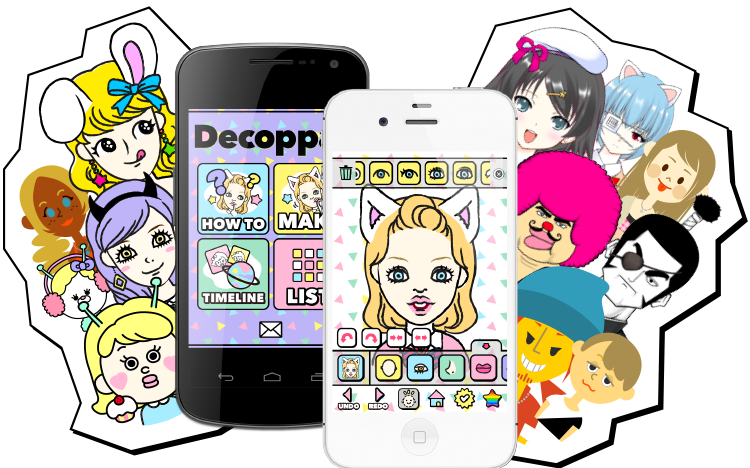 is an application to create caricatures by putting together the trendy parts we have available for you. You can make unlimited use of our more than 1000 parts for free! With this easy-to-use application you can quickly make a caricature just the way you like. 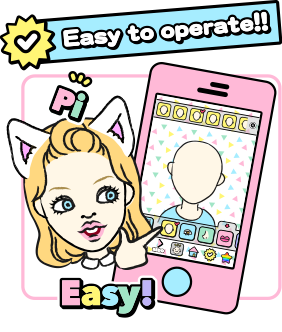 You can use it to make not only a caricature of yourself, but of your family and friends, or your favorite celebrities and artists - you can even give them away as presents! 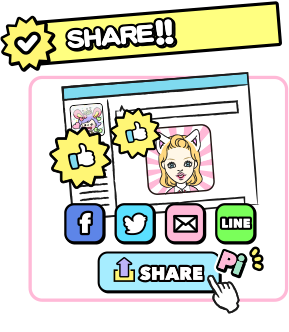 The caricatures you made can be shared with your friends on Facebook, twitter and LINE, and can also be used as SNS icons and wallpapers for your smartphone! 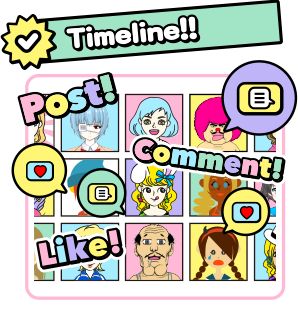 In our timeline you can have a look at caricatures made all around the world, and you can even "Like" and comment on them! Let's start using Decoppa! now and show off to everybody what you can do! 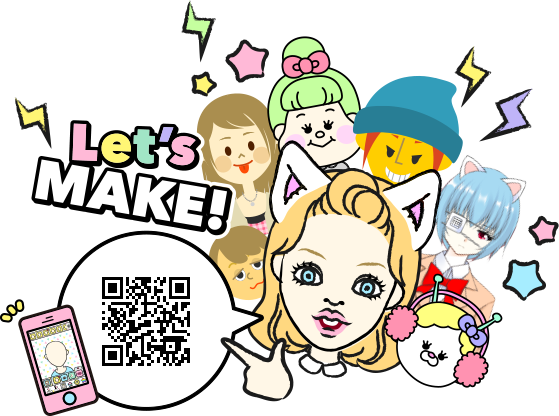 Many features that allow you to achieve the caricature you want to make♪Move parts with complete freedom! 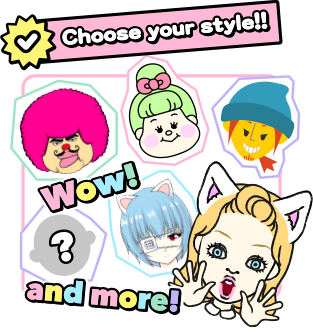 You can choose parts from any style you like♪ There are over 1,000 parts to choose from☆You can freely combine them to create your own caricature! COPYRIGHT(c) Decoo.Inc All Rights Reserved.